The Queen will address the Scottish Parliament as part of its 20th anniversary celebrations. The Prince of Wales will visit Muslims in Manchester and the makers of Uncle Joe’s Mint Balls in Wigan during a day-long royal visit to the region. The Prince of Wales and Duchess of Cornwall have arrived in St Vincent and the Grenadines for the latest leg of their Caribbean tour. The Prince of Wales honoured Barbados’ war dead as he began the first full day of his Commonwealth tour. The Prince of Wales has enjoyed a musical performance with a difference – staged on a building site where both the players and audience wore hard hats. 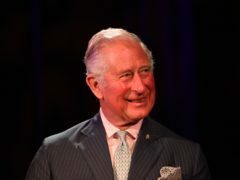 The Prince of Wales has said he hopes a new fund for women and girls in South Asia will make a real difference to their lives. 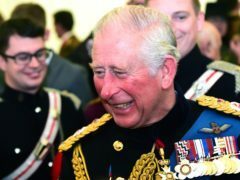 The Prince of Wales said he has “great admiration” for the work of the Supreme Court as he met judges to mark the 10th anniversary of its founding. 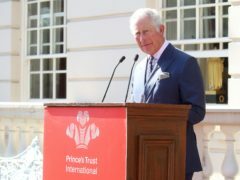 The Prince’s Trust has announced it will no longer accept donations from Huawei amid mounting security concerns about the Chinese firm’s technology. The Prince of Wales is to attend the state funeral of former US president George HW Bush, Clarence House said. 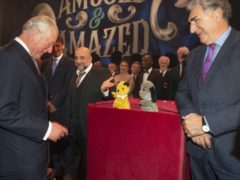 The Prince of Wales was celebrated and lampooned by some of the nation’s best-loved comics and actors – including children’s favourite Sooty. 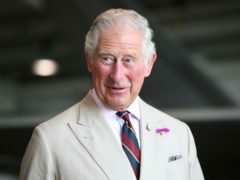 A behind the scenes documentary about the Prince of Wales is to be broadcast by BBC One to mark the heir to the throne’s 70th birthday. Andrew Lloyd Webber denounced financial cuts suffered by the arts in education as stars pledged their support for creativity in the classroom. The Prince of Wales is “very concerned” about the decline of the arts in schools, the boss of one of his charities has said. 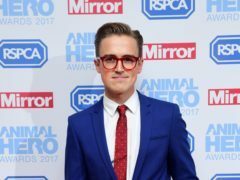 Tom Fletcher has made an incredible Royal Wedding speech spoof video featuring lookalikes of Meghan Markle, Prince William and the Queen. 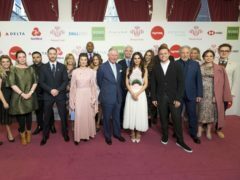 The Prince of Wales was joined by a host of celebrities at a special awards ceremony recognising special young people in Britain. Which member of the Royal Family was busiest in 2016? The Royal Family has had a hectic 2016, there’s no doubt about it. From Prince Harry’s recent 15-day tour of the Caribbean to the Queen marking her milestone birthday earlier this year, the royals have been busy bees.